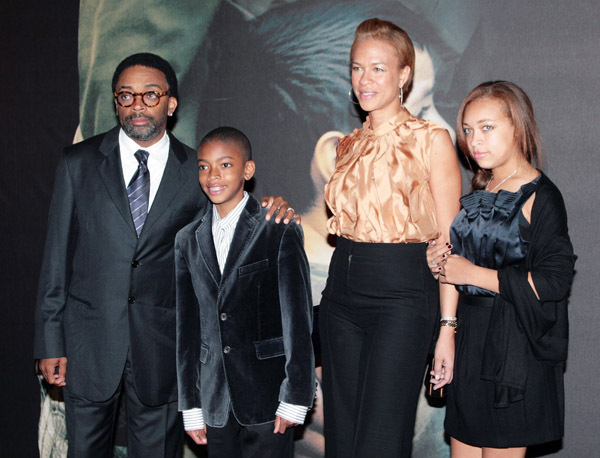 Spike Lee's war epic Miracle at St. Anna premiered at Warner Moderno Cinema on October 2 in Rome Italy. 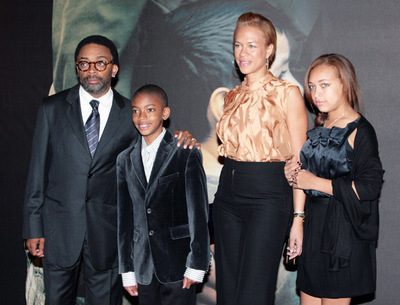 The director attended the premiere with his wife and kids. The film is now playing in theaters. Click here to watch the trailer. Miracle at St. Anna follows four black soldiers of the all-black 92nd Buffalo Soldier Infantry Division who get trapped near a small Tuscan village on the Gothic Line during the Italian Campaign of World War II after one of them risks his life to save an Italian boy. Subscribe to Binside TV in ITunes. 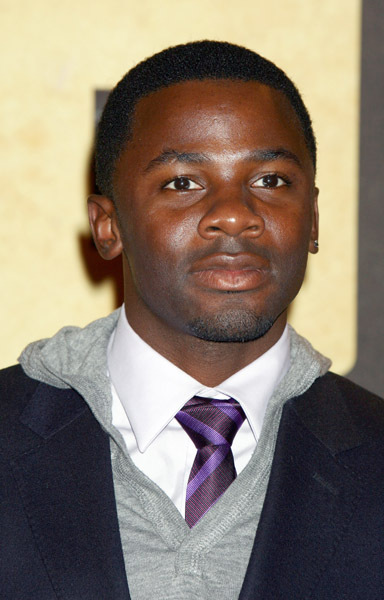 Binside TV Correspondent Shomari Harris interviewed Miracle at St. Anna cast members Derek Luke, Laz Alonso, Michael Ealey, Omar Benson Miller, Valentina Cervi and Grammy Award winning composer Terence Blanchard at the New York City Ziegfeld Theater movie premiere. Terence Blanchard has scored 12 films for Spike Lee and they have collaborated together on the films Inside Man, When The Levees Broke, Clockers and the 25th Hour. Click here to listen and download the mp3 audio podcast episode. Music score and theme by composer Terence Blanchard. Spike Lee is involved in another controversy surrounding the film which he addressed at a press screening in Rome. There are many reasons why Spike Lee chose to make Miracle at St Anna, his new film about the second world war efforts of African American soldiers. Not least among these was the film-maker's assertion that his fellow director Clint Eastwood had omitted black stories from his two war films, Letters From Iwo Jima and Flags of Our Fathers. It was perhaps inevitable that the controversy over the issue would focus minds on the veracity of Lee's own film, And sure enough, it has emerged this morning that Italian war veterans are rather upset about the US director's depiction of them in Miracle at St Anna. The film's press screening in Rome yesterday saw Lee and script-writer James McBride forced onto the defensive over the movie's linking of an antifascist Italian partisan resistance group to the 1944 Nazi massacre of 560 Italian civilians. Miracle at St Anna suggests that a partisan named Rodolfo collaborated with the Nazis, indirectly sparking the slaughter. Not so, say veteran organisations, who fear the film could cause history to be rewritten. McBride was apologetic when questioned on the issue. "I am very sorry if I have offended the partisans," he said. "I have enormous respect for them. As a black American, we understand what it's like for someone to tell your history, and they are not you. "But unfortunately, the history of World War II here in Italy is ours as well, and this was the best I could do," he added. Lee struck a more confrontational note. "I am not apologising for anything," he said. "I think these questions are evidence that there is still a lot about your history during the war that you [the Italians] have got to come to grips with.